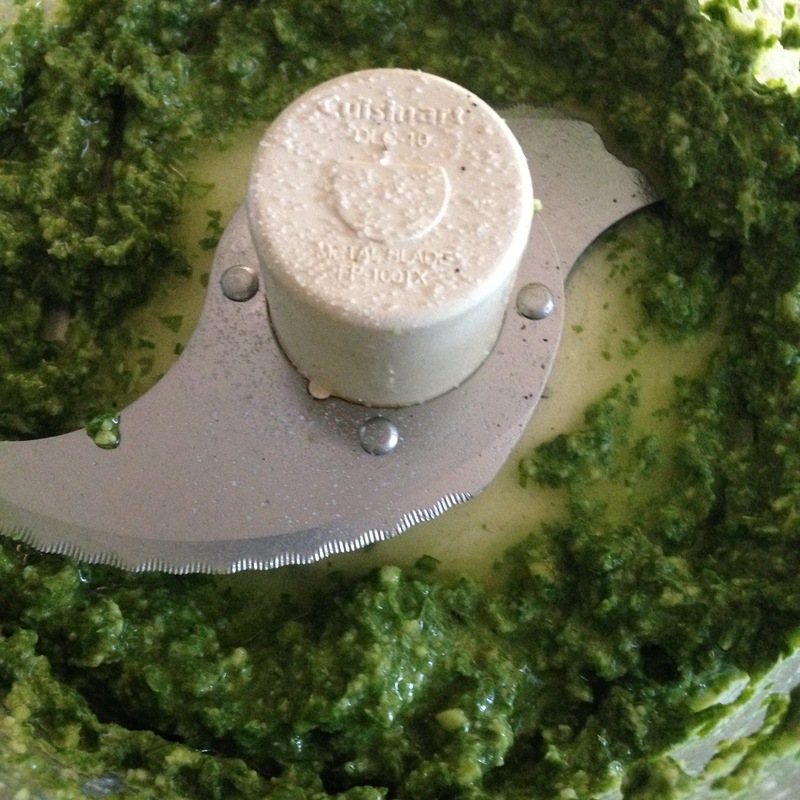 I love making pesto to use up a huge crop of basil leaves! Our plant is currently in full bloom and it’s all I can do to take advantage of all of the leaves it’s producing. This recipe definitely helped make a dent and tasted so fresh and light. I love eating the little that we grow in our backyard. This pesto’s no exception. I make mine nut-free mostly because my family doesn’t love pine nuts. I started out by thoroughly washing my basil leaves and trimming the stems. I also peeled my garlic and grated my parmesan cheese. 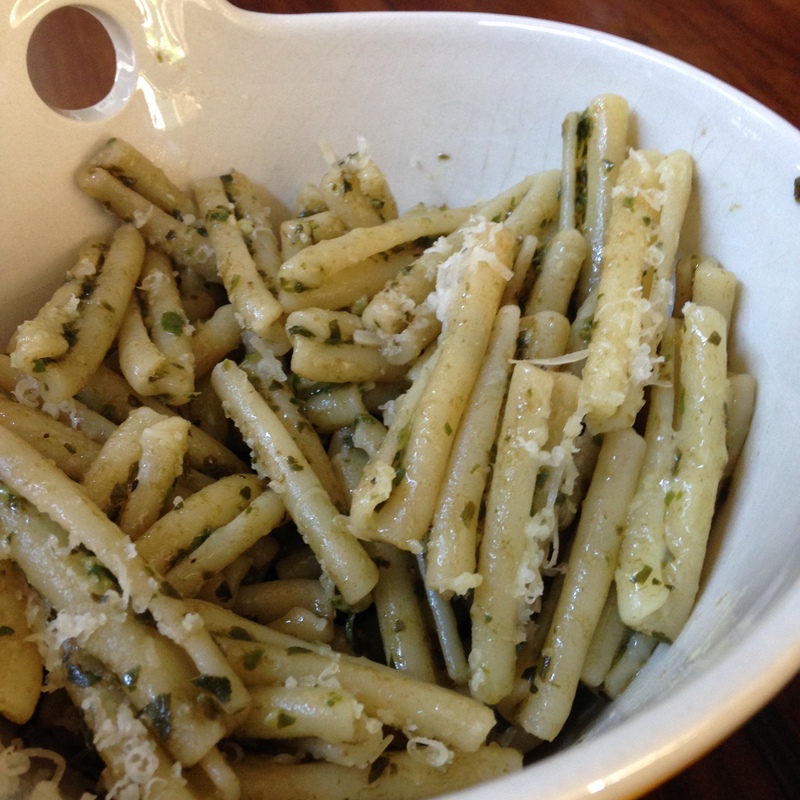 To a food processor, add your basil leaves, garlic, and parmesan. Pulse slowly until no large chunks are left. Add in a small drizzle of olive oil and the juice of your lemon half. Pulse again. Gradually add in the full 1/2 cup of olive oil (or more if you prefer a runnier pesto), pulsing as you go until fully combined. Stir in salt and pepper to taste. Serve however you like. 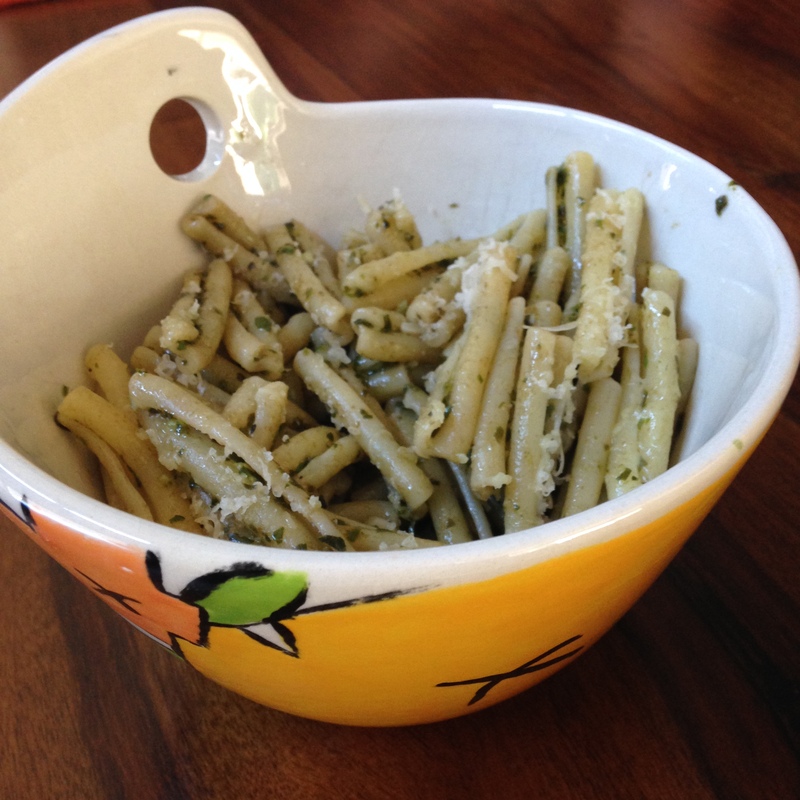 I personally made up some pasta and tossed with the pesto until warm. I grated more parmesan cheese over the top before serving.